Professor Dr. Rosnani Hashim is a Professor of Social Foundations of Education at the Kulliyyah of Education, International Islamic University Malaysia (IIUM). She founded the Centre for Philosophical Inquiry in Education in 2006, which has now been transformed into the Centre for Teaching Thinking (CTT). She is currently the Director of CTT. Her areas of interest include education from the Islamic perspective, education in a multi-cultural society, moral, religious and civic education, Malaysian education policy, Islamic educational thought and the pedagogy of philosophical inquiry. Prof. ... show more Rosnani has contributed extensively through her writings in the areas of her interests in the forms of books, book chapters and journal articles. Her ideas for Islamic education have been solicited locally and internationally by organisations such as Cambridge Islamic Centre, Centre for Islam the University of Vienna, Iranian Curriculum Studies Association, and University Islam Negeri Malang and Sunan Kalijaga, Indonesia, East African Universities Association. Among her major works are History, Theory and Practice of Philosophy for Children: International Perspective, Educational Dualism in Malaysia: Implications for Theory and Practice, The teaching of thinking in Malaysia, Pengenalan kepada Ekonomi Pendidikan dari Perspektif Islam, and Reclaiming the conversation: Islamic Intellectual Tradition in the Malay Archipelago. She was a research scholar with the Japan Foundation (Sept-Dec 2006), a Visiting Specialist under the Fulbright Programme of Direct Access to the Muslim World where she taught at Montgomery County Community College, Pennsylvania (2007), a Visiting Professor at Damascus University (2009) and a Visiting Professor for the course on Global Education in Nagoya University, Japan (March-July 2011). For the purpose of the Hikmah pedagogy, she has published Mira Series of Thinking Stories, Sarah- The Budding Thinker, and Pedagogi Hikmah untuk Kemahiran Berfikir Kritis. She has been the editor of the Jurnal Pendidikan Islam, and currently, the chief editor of IIUM Journal of Islamic Educational Studies. Prof Rosnani is a member of the National Council of Professors for the Education Cluster and a member of the Council of Professors, IIUM. She has been a member of the National Islamic Council (MKI), Resource Person for Islamic Education IKIM, and member of LEPAI Curriculum Committee, JAKIM. She has been awarded the Best Teacher Award and the Best Researcher Award (Faculty Level), IIUM. 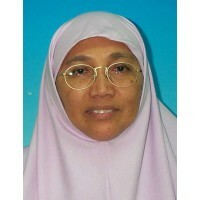 She was a member of the Malaysian Education Deans Council, and was the Dean of the Kulliyyah twice. She had also been the director of International Institute of Islamic Thought for Southeast Asian and East Asian Region and Chairman of the Board of Directors, IIUM Lower Education Company that is in charge of International Islamic Schools Malaysia and also Setiabudi schools. 2014 The reformation of Muslim education In Malaysia: ensuring relevance and overcoming challenges. In: International Symposium of Imam-Hatip (Vocational Religious) Schools in their Centennial Anniversary, Nov 23-24th 2013.